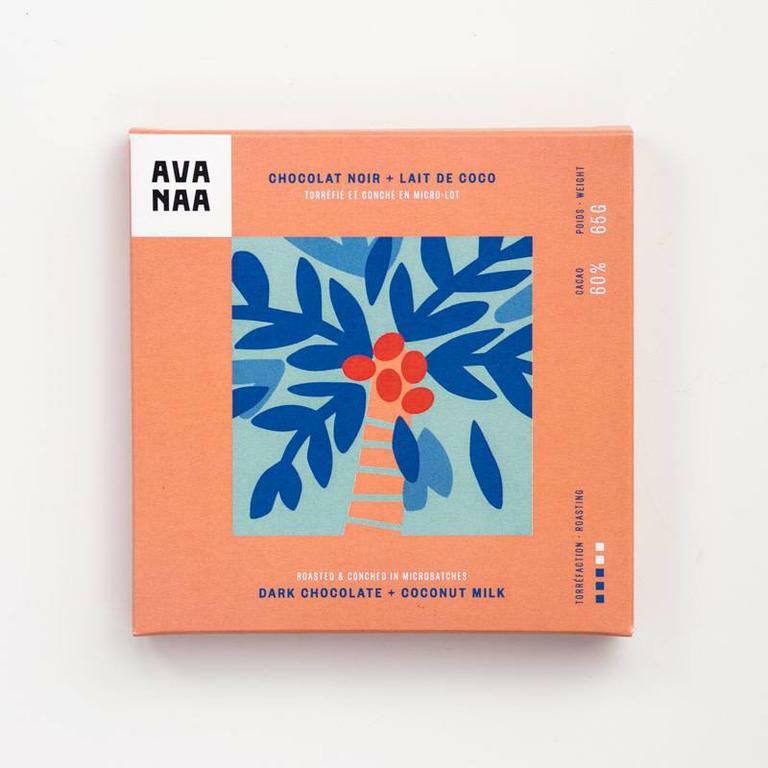 Smooth and fruity coconut milk vegan dark chocolate bar. Ingredients : Organic cacao beans, organic cane sugar, coconut, cocoa butter. Dark milk chocolate bar with 55% cacao. Rich, creamy, yummy.